Himanshu is a Chartered Chemical Engineer who became a member of Clough’s process engineering team in September 2008. She has been involved in various stages of engineering including conceptual, front end and detailed design across various projects in offshore and onshore oil and gas installations. 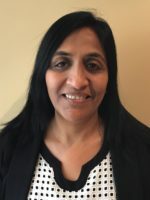 With over 20 years’ engineering experience she has had significant exposure to, and experience with, all engineering and economic aspects of LNG and gas processing, at a range of scales, with frequent involvement with the industrial adoption of innovative new engineering practices and technologies.